While searching around our warehouse for something, I ran across the box and product pictured, the Perma Power "Announcer" from 1982. 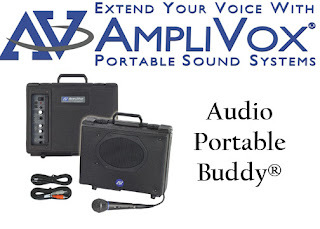 Amplivox used to be called "Perma Power" and made the "Announcer" for years until we came out with the newer and redesigned Wireless Audio Portable Buddy PA System. This find is a testimony to the quality and durability of Amplivox products. We have been around since 1952 and are working hard on continuing the excellence that has characterized Amplivox for years.